Remote Control Travel Lift Has Easy Safe Operation! It Can Deal With Light Duty Heavy Duty Well! 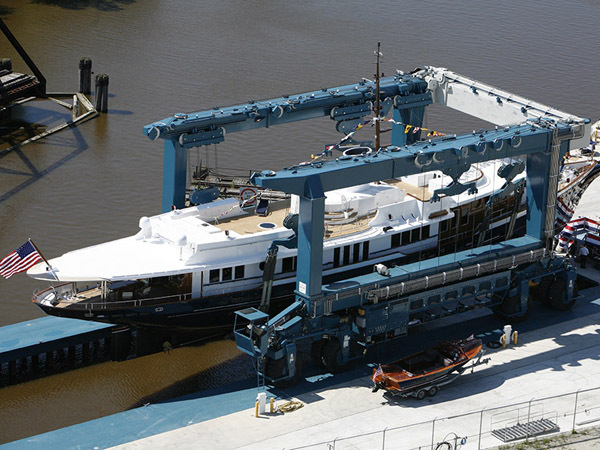 Remote control travel lift is necessary machine for lifting and transporting boat. It is very convenient to use. Operators can operate this crane far away. This makes long distance operation available. 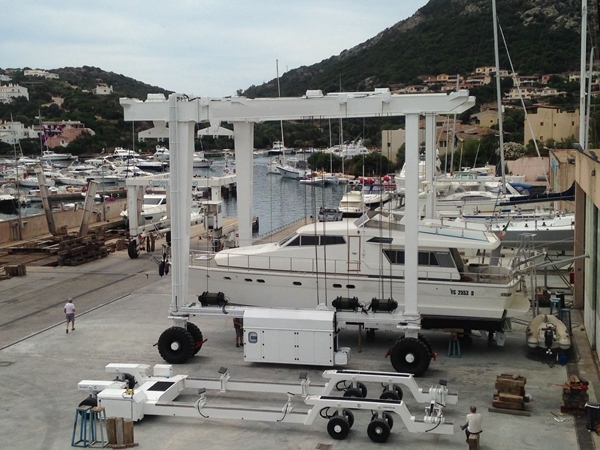 If customers don’t want to sit in cabin, they can choose remote boat hoist for work. 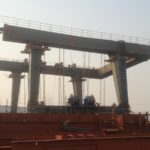 This kind of gantry crane also has high efficiency and high safety. Ellsen Group, a well-known and reliable travel lift manufacturer in China, supplies top quality lifting cranes for sale, such as port used small travel lift boat crane, construction travel lift, travel lift for water sport meetings, aquatic clubs and voyages, ISO approval marine travel lift, all-wheel steering travel lift, high lift capacity travel lift, small boat hoist. 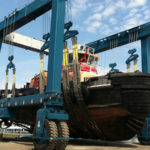 For any particular travel lift, Ellsen provides customized service! Reasonable design, durable material, convenient use! 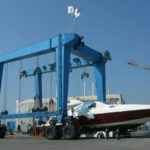 Buy cost-effective boat hoists from Ellsen! Why choose remote control travel lift? Compared with wire control, remote control is more convenient and flexible. The operator can use the device far away from distance. This can increase efficiency and improve working condition. 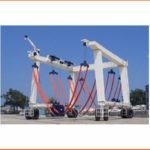 Remote control boat hoist has various types, customers can choose the most suitable travel lift from these types. 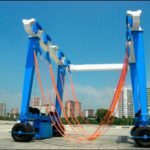 For lifting capacity, it includes small travel lift and large travel lift. 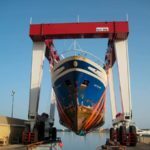 Ellsen provides light duty boat hoist like 10 ton travel lift, 15 ton vessel hoist for sale, 35 ton marine travel lift for sale, and 50 ton portable gantry crane for sale; high lift capacity travel lift, such as 100 ton marine boat hoist for sale, 200 ton vessel hoist, 500 ton mobile boat lift gantry crane, travel lift 800 ton. This kind of lifting machine also reliable performance. It has all-steering wheels, flexible move and complete safety protection devices. Safety devices include emergency stop device, overload protection device, and over-speed protection device. 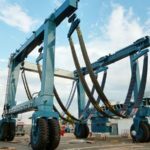 These devices can ensure safety and prolong travel lift’s service life.